This Carlisle 575B03 black salad bowl is 2" in height, 6" in diameter, and has a 13-oz. capacity. 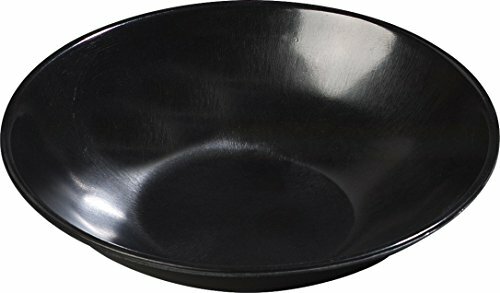 It is made of melamine for durability and resistance to stains, scratches, and breaking, and it is safe for temperatures up to 212 degrees F. This salad bowl meets NSF International standards for use in food handling and processing, is dishwasher-safe, and suitable for home and commercial food service use.